Here is another one of my class projects from Tuesday. It's basic but cute, you can make a whole bunch of these in no time at all! You can get 9 circles cut from one sheet of the 12x12 kraft cardstock and all the patterns from the Trim the Tree DSP stack give you lots of choices for different trees. You can even make this tag and attach it to the front of a card! I got together with my stamping ladies yesterday for a class to make some Christmas items. I introduced the bow die by having them make this sweet little angel ornament. This should get you in the Christmas spirit! How adorable is this? It's not a new idea but we had a good time making them. We kept the color palette to white and silver and I think the sparkle will look wonderful on the Christmas tree. Pink Pirouette cardstock was used for the head. A blender pen and some Pink Pirouette ink make the rosy cheeks. We used a glue gun to put all the parts together. You can use glue dots but they don't always hold for the long term. I plan to make more of these to use as add ons for gift card gifts or around a wine bottle for a hostess gift. As our fall soccer season is winding down I thought I would share this soccer card I made for one of the coaches. Excuse the poor picture. I had to quick snap it with my phone before sealing it up and giving it to the coach. I used the circle framelits and the Hexagon Hive thinlet to make the ball and the grass is made with the fringe scissors. The sentiment is from Many Thanks and is embossed in black. Now to come up with a new design for the other coaches! I hope you all had a wonderful weekend. I have been busy getting ready for stamp club so I'll be showing what we made later this week. I'm looking forward to showing my ladies some fun Christmas projects. Have you thought about your Christmas tags and cards yet? Now is the perfect time to get started on those. I can help you figure out what you need to get started or if you already know and want to order head over to my online store (link in the side bar) to place your order. Today I have a simple design that looks a lot like my card from Friday but uses some of the Trim the Tree DSP stack along the edges. The Endless Wishes set is a great basic set for winter and Christmas. The snowflakes are stamped in Garden Green, Early Espresso and Cherry Cobbler. The sentiment is stamped in Early Espresso and punched out with the large oval punch. I again used the Cherry Cobbler sheer linen ribbon for the center of the card. I tied a bow with baker's twine for extra detail. And each snowflake has a rhinestone in the center. For more ideas for the Endless Wishes set check these other cards out: Non-Traditional Snowflakes, Fab Gold Snowflakes. It was a chilly 40 degrees here in Richmond this morning when I woke up! It will warm up quite a bit later on which I'm thankful for as we have 2 soccer games today. To go with the chill in the air this morning I have a snowflake card to share. I love how the Endless Wishes set can be used on it's own with the snowflakes taking center stage or as a great set to use paired up with other Christmas and winter sets. I pulled my colors right from the Trim the Tree DSP stack even though I didn't use any of the paper. The snowflakes are stamped in Garden Green onto Whisper White. The Whisper White panel has scored lines around the sides which don't show well in the photo. I LOVE this Cherry Cobbler Sheer Linen ribbon! 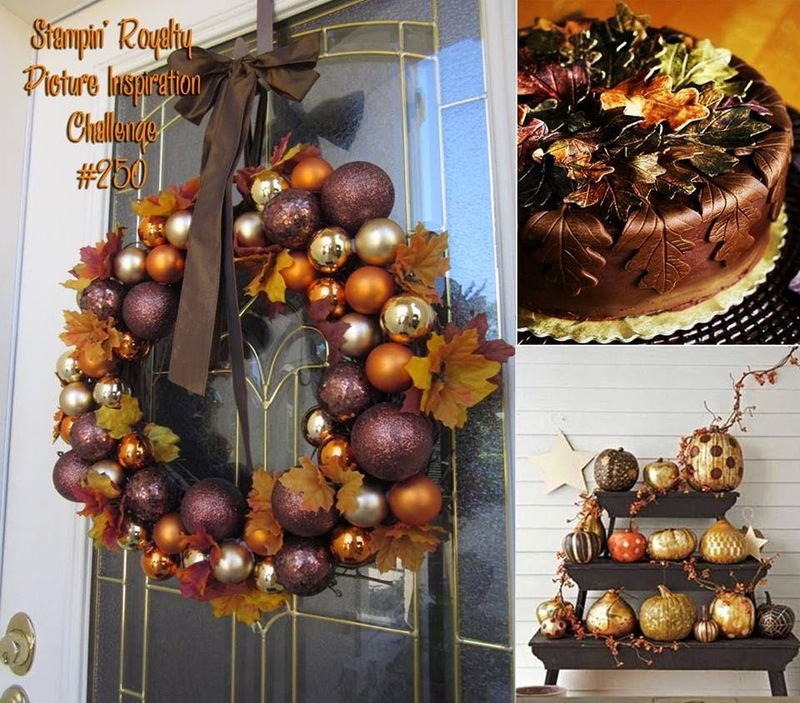 It is beautiful and looks wonderful on Christmas projects. Here, I just wrapped it around my stamped panel and then cinched it with a Cherry Cobbler bakers twine bow. The sentiment is stamped in Early Espresso and punched out with the large oval punch. I used dimensionals to adhere it to the top of the ribbon. Each snowflake has a rhinestone in the center for some winter bling. 3 sizes of snowflakes, 3 sizes of rhinestones....coincidence? I think not, they were made for each other! This card would be so easy to reproduce for Christmas...you can even mount the snowflakes on one clear block to stamp all together! Not only is it a Friday but it's a Fab Friday! Woo Hoo! 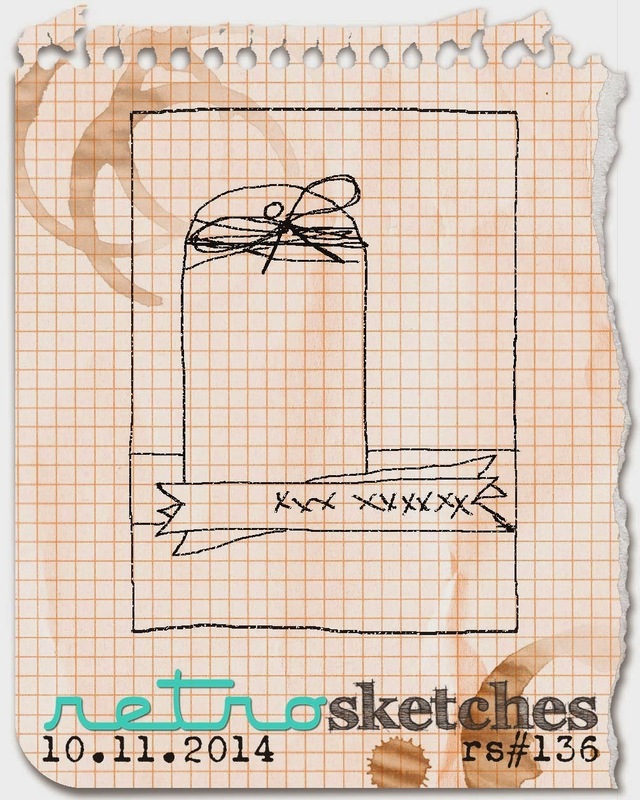 We have a fantastic sketch for you this time around. Check this one out! So many ways to go! I can't wait to get back in the stamp room and try out some other ideas for this layout! I have a class next week to do some Christmas projects with my stamping ladies and I wanted to get a few more samples made so they can see all the possibilities of the Holiday Catalog so I went to work with Holiday Home and my Blendabilities. I haven't used the Blendabilities very much and I think for me it's just a matter of practice, practice, practice. I really like how the house turned out here so maybe I'm getting better at coloring?!? I used the Cherry Cobbler, Crumb Cake and Daffodil Delight Blendabilities assortments. The tree is stamped in Garden Green, the star in Daffodil Delight, the snow in white craft ink and the Santa and sleigh in Crumb Cake. The tree and house are both popped up with dimensionals as is the whole house square. The edges of the Crumb Cake layers are sponged with white craft ink and the Crumb Cake panel that the house is on is also pierced along the edges. It's really fun to build little scenes with the Holiday Home set...all the little accessories are so cute! And now looking at my house I should have added a wreath! Oh well, maybe I'll try another of the same design with different colors. Head over to Fab Friday to see the rest of the Design Team samples....they always rock it don't they? Sometimes you just need a bright card to say hi to someone. This one certainly fits the "bright" requirement. The sketch if from RetroSketches challenge and the colors come straight from the Confetti Celebration DSP. The star shape was cut with the Star framelits and then paper pierced with the coordinating template and then backed with the DSP. I used the fringe scissors on a few strips of Bermuda Bay and lined the edges of the Whisper White panel. I stamped in Versamark and then embossed in white the "my friend" from And Many More. I flagged the end and then adhered it to the edge. Next I punched a bunch of little silver glimmer paper stars for the edges. The one star on the banner has a Bermuda Bay candy dot to highlight it. The hi was cut using the "hi" that comes with the Label Card Thinlets die. I added a little silver glimmer paper dot for the i. This is a quick post this morning as my to do list seems to be growing minute by minute! I never seem to have enough birthday cards ready ahead of time so I thought I would use the current CAS(e) this Sketch challenge to get a bit ahead. 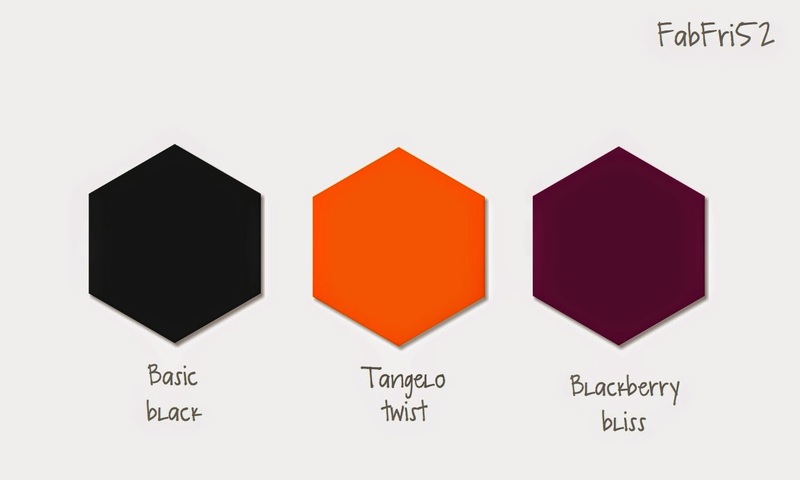 The colors were some that I had seen somewhere out and about shopping and had written down to be used on a card. Smoky Slate, Daffodil Delight and Calypso Coral. The flowers from Flower Patch were stamped and then cut out with the matching Flower Fair framelit. They are popped up with dimensionals along the edge of the subtle DSP pattern from the retired pack Watercolor Wonder. I used rhinestones on the flowers and along the cotton ribbon that highlights the sentiment from Endless Birthday Wishes that was stamped in Smoky Slate ink. The pumpkins have been appearing on porches around the neighborhood the last week or 2. Our porch is pumpkin free right now but I do have some pretty mums taking center stage. We learned a number of years ago that carving pumpkins too early in Richmond just leads to a disgusting mushy mess on the front porch. Pumpkins are on our agenda next weekend so hopefully they will make it the few days until Halloween. I'm still having fun with some fall themed cards. You never know when you'll need a "just because" card. I got some mileage out of the Hardwood background on this card. I stamped it on the card base, then on the tag without reinking and one last time without reinking on the strip of Typeset Specialty DSP. The pumpkins, tag and DSP are all sponged along the edges. I was proud of myself for using up a few scraps of ribbon from my scrap container even if it didn't make a dent at all in it. Small victories right? The layout is from Create with Connie and Mary and the color and glimmer paper sparkle inspiration came from Stampin' Royalty. I put out all of my bird feeders the other day and have been enjoying seeing the birds scurry around the yard. We even had a Carolina Wren which we don't see very often. Our cardinals are starting to come around as well and they were the inspiration for this simple winter scene. I used the layout from the Freshly Made Sketches challenge. My fellow demonstrator buddy Jennifer Timko designed this sketch so I had to play along. I went with some traditional winter colors and kept the scene kind of simple. I used the White Christmas set from the Holiday Catalog and used colors pulled from the Trim the Tree DSP stack; Garden Green and Cherry Cobbler. Can't get more Christmas-y than those colors! The Lucky Stars embossing folder was used on the card front for some subtle texture. Finishing Touches edgelit was used combined with a small strip of the Trim the Tree DSP for the left side of the sketch. I colored the trees and cardinals with Blendabilities and added some Dazzling Details to the snowy hill. The sentiment from Petite Pairs was stamped in Garden Green and then punched with the 1 1/4" circle punch. A linen thread bow is tied around DSP strip before adhering the sentiment. I missed out on posting yesterday as I had a sicky sick kiddo at home and we headed to the doctor's office to get him checked out. Normally I'm not one to rush to the doctor's for something little like a fever and runny nose but when he said it kind of hurt to breathe well that changes the game! The whole morning schedule was blown apart but he's fine and it's nothing more than a virus. He should be ship shape by Monday! I hope no one feels rushed or anything but I'm going to start posting more Christmas projects! I know that I felt rushed when I saw the Christmas stuff up in stores back in September. But I figure for hand made cards and gifts that that there needs to be some lead time for all the creative ideas to come together. I used 2 challenges for this card. The colors come from a new to me challenge site that I stumbled on when doing comments for Fab Friday entries. 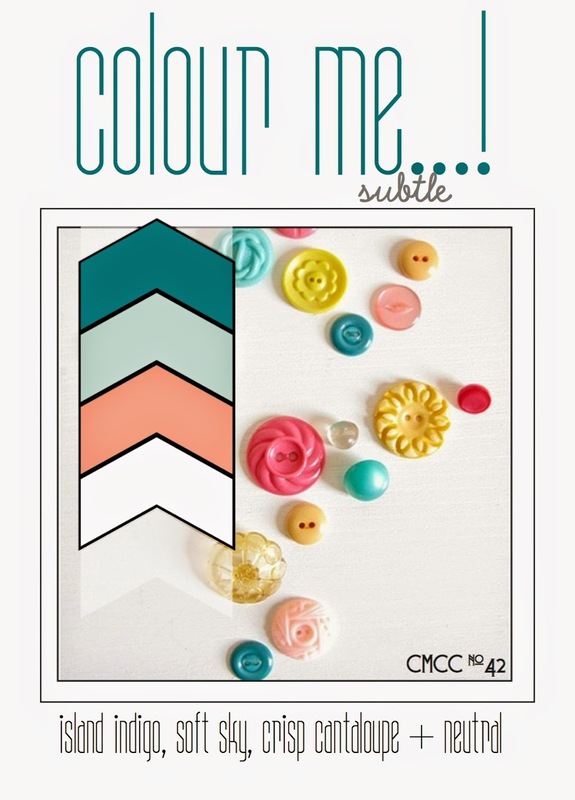 The Color Me challenge this week is Island Indigo, Soft Sky and Crisp Cantaloupe...cool right? 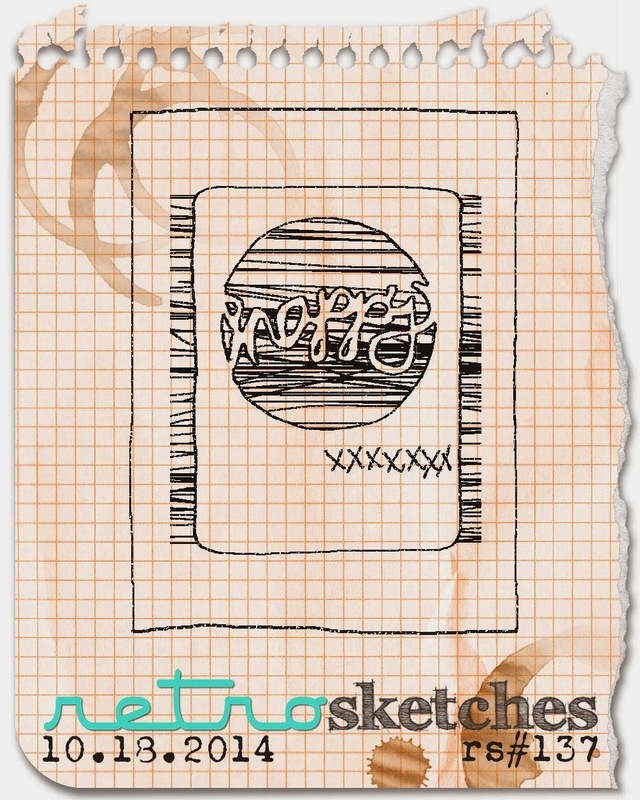 The layout is from RetroSketches; always great inspiration there! These aren't really what one would think of for Christmas or winter colors but I thought it would be fun to do it anyway. That's why they're called challenges right? The base is Soft Sky with a panel of Whisper White embossed with the Northern Flurry embossing folder. This piece has actually been sitting in a pile on my stamping desk since last winter...it didn't work on a project then so I set it aside to be used later and it finally made the cut! To make the tag I used Whisper White cardstock and the Chalk Talk framelits. Then I sponged Soft Sky all over with a heavier concentration on the edges. Next, I stamped the snowflakes from Endless Wishes in Island Indigo and Crisp Cantaloupe. I added a strip of Crisp Cantaloupe and then layered my tag on top using dimensionals. The banner layer was stamped in Island Indigo and then I used my hexagon punch to notch my banner ends. I did the same with a narrower strip of Island Indigo to go behind the sentiment. The embellishment details are a few rhinestones at the top left corner. Then a fork bow (tutorial here) made out of Whisper White seam binding ribbon. The last detail is a small Island Indigo button topped with another rhinestone. I'm digging way back in the vault for this card today. I held a "What to Washi" class way back in May. It was fun showing off different projects using the washi tape. To see the other projects click on these links; Birthday Card and Magnetic Clips and Candle Holders. This card is a fun one because you can use the same design over and over and just change up your washi tape to fit the occasion. 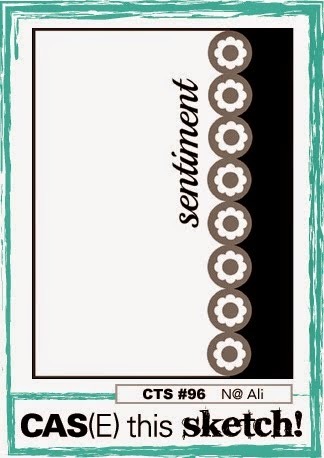 The sentiment is fine on it's own or you could have a focal image in front of your washi tape background. Just think of the cute cards using the new All is Calm Washi tape in the Holiday Catalog to make Christmas cards?? To make your background all you need to do is just lay the washi tape diagonally across a piece of cardstock in whatever size you want. You can leave the ends loose and trim with scissors or just wrap the ends to the back of the cardstock. Easy Peasy! It's the countdown to Halloween now isn't it? I haven't even started on the boys Halloween costumes yet...they know what they want to be and now we just have to make it happen. In the meantime here is a super quick and cute Halloween treat box using the Tiny Treat boxes in the Holiday Catalog. I made about 16 of these little guys in no time at all. 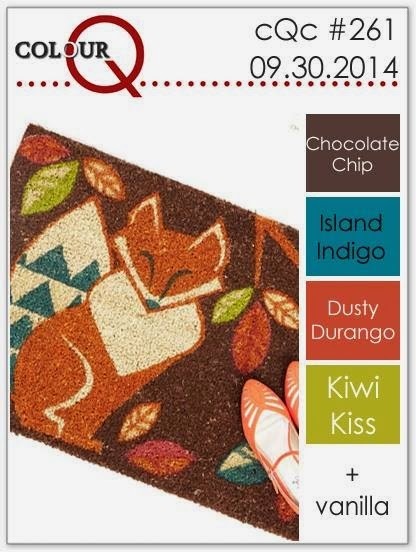 The Fall Fest stamp set makes such cute projects! I put all the faces onto one block and stamped 3 sides of the box as well as the top. The pumpkins are stamped with Pumpkin Pie ink and the stem is Old Olive. The faces are stamped in black just like the ones on the box. I fussy cut these while watching TV only because I was too lazy to drag the Big Shot downstairs and it was football on TV and you don't really need to watch every second! But the Fun Fall Framelits are great to use along with this stamp set if you're not into fussy cutting. Once I had my pumpkins cut I added a knot of Natural & Old Olive Two-Tone trim (Holiday catalog) using a glue dot to adhere and then adhered the pumpkins to the front of the boxes with dimensionals. I filled the insides with Hershey Nuggets. Sweet treat!! Since Halloween will come and go before we know it I thought I better get my last few Halloween themed projects blogged about. This one started off as a possible project for my stamp club a few weeks ago. It didn't make the cut but I did show it at stamp club as an idea to do with the Holiday Home set. This project is more of a decoration than a card though it folds flat with little hinges on the inside to keep it open. I used the Circles framlits to cut the large circle in the Basic Black base. I backed the cut out with vellum and then stamped the tree and bats in Memento ink. The house is embossed in white and then cut out with the Homemade Holiday framelits. 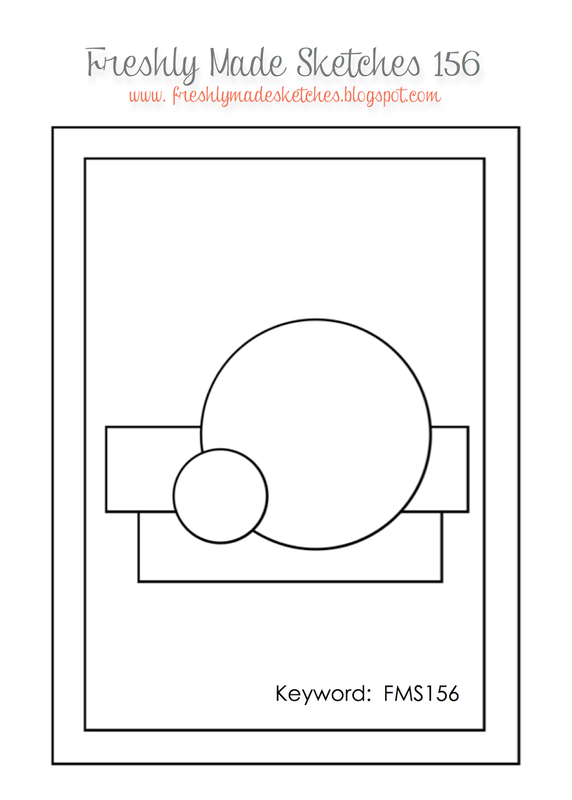 It is adhered just on the edge of the circle with a dimensional. The ghost is stamped and then hand cut and adhered to the back of the chimney. The moon is a small circle of Daffodil Delight with another set of bats stamped toward the edge. It looks pretty neat when the lights are really dim but it was impossible to capture it with my poor photography skills so you'll just have to believe me or better yet make your own! It's a Fab Friday challenge day! Woo Hoo! I know you're excited not only for the weekend, but for our great new challenge! The other day I was saying that I keep making Halloween cards but don't really have anyone to send them too...well wouldn't you know that our challenge colors this time just scream Halloween. I decided to really challenge myself and say no to a Halloween card. What was I thinking? It was a bit of a struggle to get going but then the elements started to come together. The card base is Blackerry Bliss with a layer of Whisper White that was embossed with the Large Polka Dot embossing folder. It's hard to see in the photo but it's a nice subtle touch that adds extra detail but doesn't compete with the brightness of the flower. I went with a big, bold flower for these bold colors! I am loving the Blackberry Bliss lately and I think it looks wonderful on the big petals of the Flower Patch stamp. I stamped it twice in BB, once for the biggest part of the flower and then again for the little small center which I cut out with my trusty paper snips. I stamped it once in Tangelo Twist to make the middle layer also cut with the snips. I layered all the piece with dimensionals so the flower really pops. I created the polaroid style frame and the smaller square sentiment panel using the Square Framelits. These are also popped with dimensionals. The "happy birthday" from Endless Birthday Wishes is stamped with Versamark and embossed with black embossing powder. That's all the black I've got on my card! I added a few rhinestones to the side of the flower and then one to the center. I hope you'll join us for this challenge! Check out the rest of the Fab Friday Design Team projects for some more inspiration...they never disappoint! I keep saying that I don't send out many Halloween cards yet when I sit down in the stamp room I feel like I just keep making more of them! I guess I will have to find some people to send Halloween cards too! Here is my take on the spooky Halloween houses using the Holiday Home set from the Stampin' Up! holiday catalog. This set is so cute on so many levels! The card base is Smoky Slate with a panel of vellum over it. The vellum is faux stitched around the edge. The moon is sponged on layering Daffodil Delight and Pumpkin Pie ink. I just used a circle punch to make a stencil to sponge through. The bats are stamped right onto the vellum in black. I added a cloud also cut from vellum. Isn't it cool that the Word Bubbles framelits can be used for clouds too?? I think the vellum paired with the Smoky Slate gives a kind of foggy night look. The houses are embossed with white onto Basic Black cardstock and then cut out with the Homemade Holiday framelits. They are popped up right on top of the vellum with dimensionals. I stamped and hand cut the little ghosts because you can't have a row of spooky Halloween houses and not included some ghosts! Off to make my mailing list for these Halloween cards! Here is the third project we made last week at stamp club. Isn't this a cute little fall scene? We used 2 of my favorite stamps lately, Hardwood and Fall Fest. The fence was made by stamping Hardwood with Baked Brown Sugar ink onto Baked Brown Sugar cardstock. Then we used the triangle punch to nip off a small triangle shape from the top of the "boards". The pumpkins were stamped with Pumpkin Pie (of course!) ink and Old Olive for the stems. To stamp these quickly just line the pumpkins up on one clear block, then ink up. Nest, use a blender pen to remove the Pumpkin Pie ink from the stems and then add it back using the Old Olive marker. And then cut them out all at once with the matching Fun Fall framelits. They are then popped up with dimensionals. The clouds were made by using the thought bubble framelit to make a template and then sponged with white craft ink. The sentiment is stamped in Old Olive and then punched with the Decorative Label punch and tucked behind the fence board. Here is another card that I was able to make on Saturday to celebrate World Card Making Day. I'm pretty pleased with how this card turned out. I used a color combination straight from the Color Coach. If you don't have one of these you need one! I used Pistachio Pudding, Smoky Slate, Strawberry Slush. 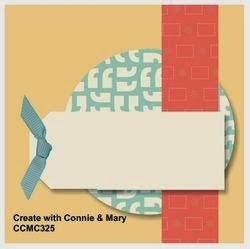 The layout is from the current Create with Connie and Mary challenge. That angled back panel had me twitching for a bit since it's against my natural instincts to have everything nice and straight but I got over it and went with it. The tree and birds were inked up with Smoky Slate and then I used my blender pen to take off the ink from one bird and used the Strawberry Slush marker to re-color it. The bird panel is popped up with dimensionals on a slightly larger circle that was pierced around the edge. I added pearls in graduated sizes along the left side and used a bit of the retired In Color stretch trim to bring a little bit more Strawberry Slush to the card. I hope everyone stamped yesterday as it was World Card Making Day! While I didn't get a post written yesterday I did do some stamping. It was a busy week for me with stamp club and other obligations so I had been saving a few challenges from earlier in the week to use once I had a chance to make it to my stamp room. When I sat down to use them yesterday I realized that if I wanted to to get them posted to the challenge galleries I better hurry up. I combined 2 challenges for this Bold Autumn card. The colors are from ColourQ and the sketch is from Freshly Made Sketches. I did have to substitute a few colors that I didn't have that retired a while ago. I think the substitutions are pretty close though. Stamping is done on the Old Olive leaf and acorn using the Gorgeous Grunge stamp set. Even though the set that matched the Autumn Accents die has been retired you can still make great leaves just by stamping them with whatever set grabs your attention. The oak leaf is slightly crumpled and sponged around the edges. The Very Vanilla oval is embossed with the Woodgrain embossing folder and the Pacific Point strip is embossed with the Arrows embossing folder for even more texture. I was kind of proud of myself for using scraps of this and that to make this card. I just dug around in my scrap bag for each color until I found a piece that would work. Even the Cajun Craze card base was already cut. Sometimes designing a clean and simple card is harder than the one with many layers, techniques and embellishments. I wanted to design a masculine birthday card for my stamp club this week and it took a lot of tries with different colors, stamp sets and layouts to come up with this one! I just couldn't get something I liked with the right balance of elements. I finally switched up my colors and then things got easier! The base is Smoky Slate with a piece of Typeset DSP with a torn edge adhered to one side. We added a length of All is Calm washi tape. 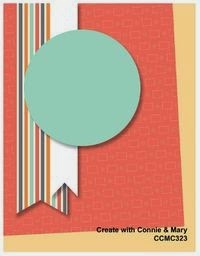 I love that even though this washi tape set is for Christmas the patterns really work well on all kinds of cards. The coral was stamped on a Very Vanilla square in Smoky Slate ink and then backed with a square of Night of Navy. The fish is stamped in Night of Navy and fussy cut and then adhered with a dimensional. The final step is the sentiment stamped in Night of Navy in the corner. We used the Petite Pairs set as the scale fit perfectly with the space. Tuesday I had my stamping ladies here for stamp club and we made some seasonally inspired projects. I don't send many Halloween cards but they sure are fun to make! I might need to try to get a few sent out this year! The base is Tangerine Tango stamped with all the jack o lantern faces. I had all the faces mounted on one clear block for quick stamping. The black panel has an outline made with the chalk marker. All I did was cut a template out of the thin cardboard from the DSP packs 1/4 inch smaller than the black piece and just trace around it. Then a length of Tangerine Tange and Basic Black baker's twine is tied around the bottom. Use the ghost framelit with Whisper White cardstock and add the googlie eyes and hand drawn mouth. The Little Letters thinlets were used to cut out the "Boo".